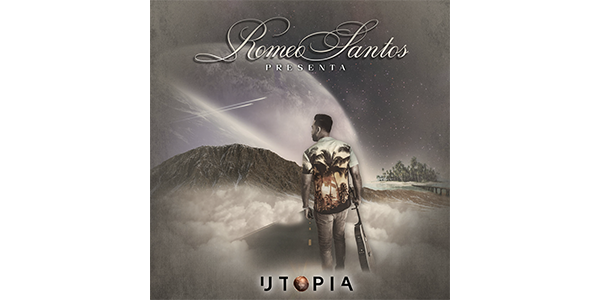 MIAMI (April 5, 2019) – The King of Bachata, Romeo Santos, unites the past with the future on his new album Utopía, available today from all digital-music platforms. Utopía is an ambitious and original project that presents all-new songs with old-school bachata arrangements in collaboration with legendary artists of this quintessential Dominican genre. His fourth studio album features 12 of his compositions, all of them duets with traditional bachateros who he grew up admiring. Romeo Santos puts the spotlight on his musical roots in this labor of love to Dominican folklore. 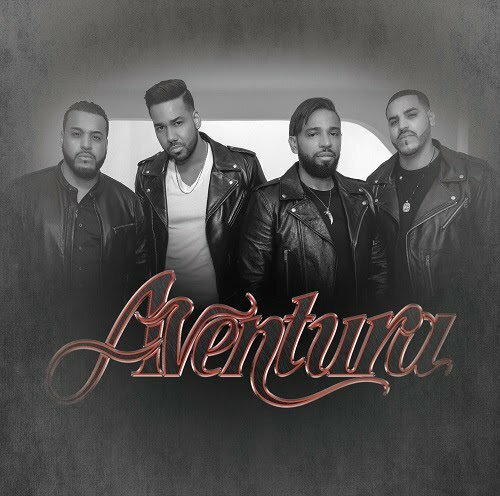 Any history of this music merits a chapter on the group Aventura, which not only catapulted Romeo to stardom, but also turned bachata into a worldwide phenomenon. “Inmortal” is his new single and video with the four-member band, a reunion 10 years in the making. Another gem is his song “La Demanda” featuring Raulín Rodríguez. The music video of “Inmortal” was recorded on March 12-13 in Miami, and directed by Fernando Lugo, while “La Demanda” was filmed in Santo Domingo by director Joaquín Cambre. With his unmistakable and expressive tenor, Santos puts his stamp on these 12 songs, making this album a true work of art. Utopía was produced by Romeo himself in New York and in various cities of the Dominican Republic. And the good news keeps coming for Romeo Santos, as yesterday he was named a finalist for Best Latin Artist at the 2019 Billboard Music Awards. His first album since Golden (2017), Utopía promises to be a milestone that influences the trajectory of bachata music for years to come. Known all over the world as The King of Bachata, Bronx native Romeo Santos is the Latin artist with the most Billboard Latin #1 hits during this decade – a total of 20. He is a five-time ASCAP Composer of the Year winner. The Billboard Latin Music Awards named him Artist of the Year for two consecutive years, while the mainstream Billboard Music Awards have named him Latin Artist of the Year for two straight years. His first solo album Fórmula, Vol. 1 (2011), spent 17 weeks at #1 on the Billboard Latin sales chart, is certified 5x Platinum by the Recording Industry Association of America, and spun off five #1 singles. His second album, Fórmula, Vol. 2 (2014), spent eight months at #1 on the Billboard Latin sales chart, is certified Diamond, and also spun off five #1 singles. Both its first single, “Propuesta Indecente” (Indecent Proposal), and the second single, “Odio” (Hate) feat. Drake, debuted at #1 on the Billboard Hot Latin Songs chart, and remained at the top for three months. Santos has collaborated with such greats as Usher, Lil Wayne, Pitbull, Drake, Nicki Minaj, Marc Anthony and Carlos Santana. In 2017, Santos received the Lifetime Achievement Award from Univisión’s Premio Lo Nuestro, and appeared as featured artist on Ozuna’s single “Farsante,” which has been viewed over 1.1 billion times on YouTube. The same year, Santos released his third album Golden, which went quadruple Platinum and features the hit singles “Héroe Favorito,” “Imitadora,” “Bella y Sensual,” “Sobredosis,” “Carmín” and “Centavito.” It was named Tropical Album of the Year at the 2018 Billboard Latin Music Awards. This multi-talented creator also appeared in the hit Vin Diesel movie Furious 7 (2015) and voiced Early Bird in the animated feature Angry Birds (2016). In concert, The King of Bachata made history as the first Latino to headline at the new Yankee Stadium, performing two sold-out shows to over 50,000 fans each night. Rolling Stone rated his 2014 tour as “one of the summer’s best.” On TV, Santos has appeared on such high-rated national programs as The Bachelor, The Today Show and The Tonight Show with Jimmy Fallon. He also participated in Macy’s Thanksgiving Day Parade. On social media, he’s the world’s most-followed Latin artist with over 53 million fans.